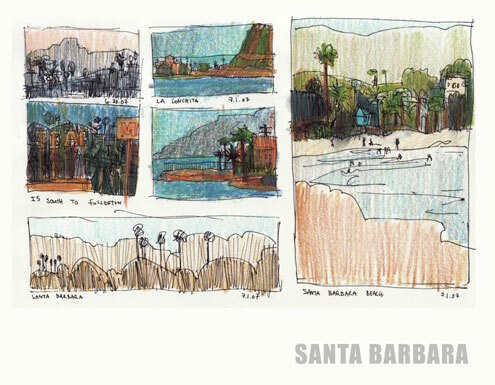 Pen and colored pencil sketches of Santa Barbara. 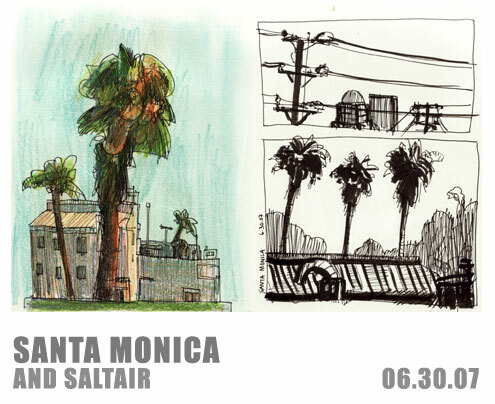 This summer I started a sketchbook devoted to urban sketches of Los Angeles (and surrounding areas). 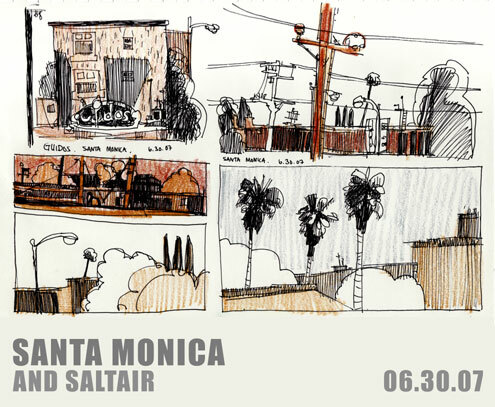 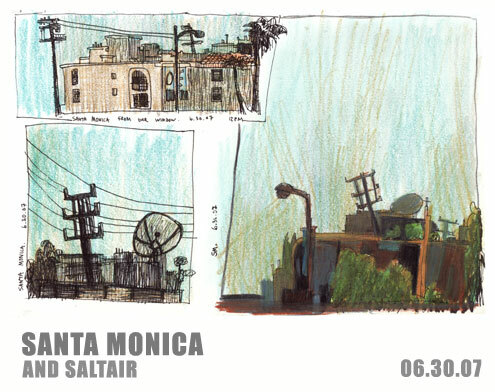 These sketches are the first set in the series and were drawn near Santa Monica and Saltair. 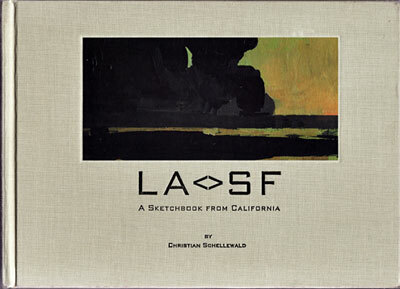 This series was inspired by the book, LA<>SF, A Sketchbook From California, by Christian Schellewald (image below).